What’s hot? Modern canopy beds. 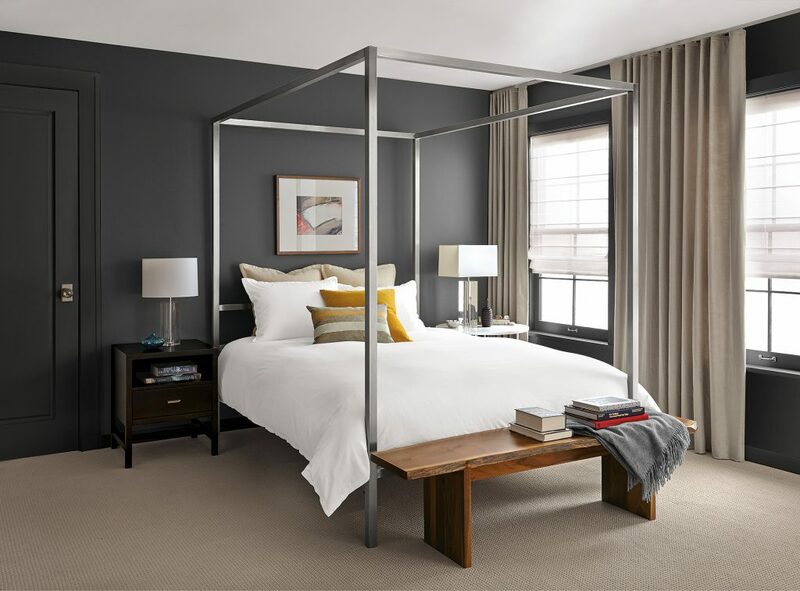 Our Hale bed, according to Elle Decor’s May issue. This “Sleeping Beauty” was one of 10 home products with an article feature, which includes furniture, lighting, barware, pillows and throws. 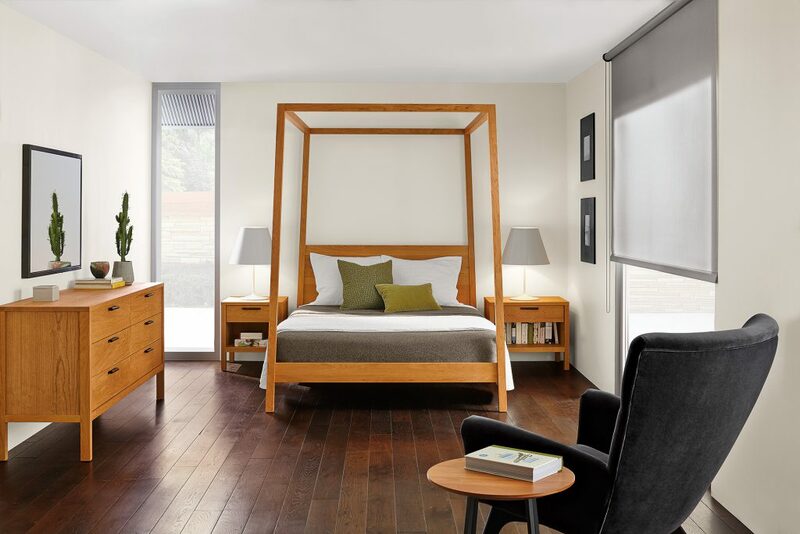 We introduced Hale in January as part of our 2015 collection to provide customers with a wood canopy option. Handcrafted in West Virginia, Hale features gently angled posts. The oiled finish lends a warm, matte look that highlights the natural beauty of solid walnut, cherry and maple.